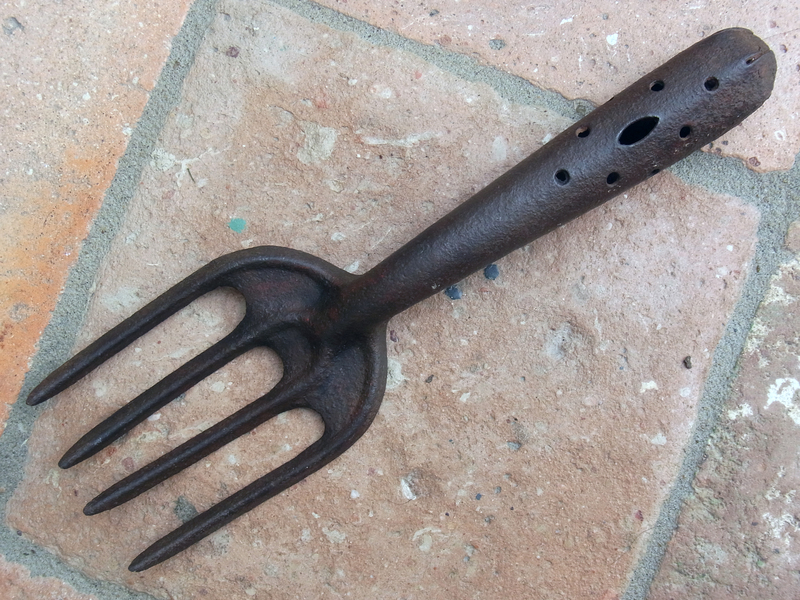 Vintage English 4 tine bent steel pattern Hand Fork. Hollow handle similar to Trowel I. 11 inches (28cms).